Join our NEW CIRCLE in Los Feliz every 2nd Tuesday of the month. Expanding on our circles on the West Side, West Valley and San Bernardino/Anaheim area, we are now bringing together the community on the East Side. In the community circles, we create a safe space to discuss states of consciousness induced by psychedelic substances and spiritual emergence. This is an open meeting for both novices and experienced journeyers, to share and receive support with their community. Meetings include a talking circle and grounding group activities, such as movement, meditation and music. There will be time to connect with other like-minded community members and with the facilitator. Out of respect to the privacy of our members we do not allow late entrees 15 minutes past start time - please arrive on time. $15-20 community contribution. No one turned away, all are welcome. Our space is limited to 12 people so an RSVP is required to attend. The exact address will be emailed to you upon registering. Welcome to PsychedeLiA, the community integration circle! 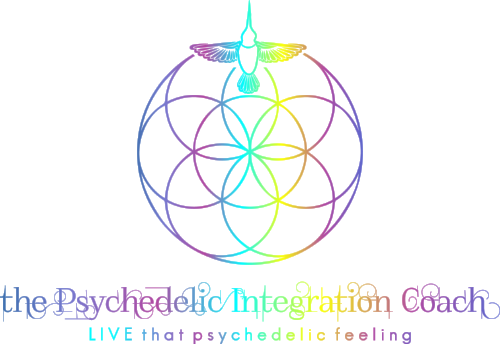 PsychedeLiA: Psychedelic Experience Integration, Los Angeles has got your back! The psychedelic journey through altered states of consciousness impacts the journeyer mentally, emotionally, spiritually, physically and environmentally. Returning to normal life can feel different, awkward, or even downright challenging. Acknowledgements and adjustments must be made in order to accommodate new knowledge and insights, and to regain a balanced state of wholeness and well-being; this is psychedelic integration.